I loved the idea of this tag! It was originally created by GirlReading, so go check out her video on it to see her version! Physical Book! I do love e-books purely because they’re perfect for holiday reading since they take up no room, but there’s nothing better than holding a physical book in your hand, or looking at them all pretty on the bookshelf! I love how hardbacks look on a shelf, and how durable they are, but paperbacks are so much easier to carry around and read! They’re just much easier to handle, so paperbacks! In-store book shopping! Again I do once in a while online shop purely because of the cheap prices you can get, but one of my favourite things in the world is walking into a bookshop and browsing the shelves! I can also find a lot more books when I’m shopping in store, so helps to give me a range of things to read! Either! I love both, and they’re both good in their own way. Some books are dragged out into a series that could have been a trilogy, others are rushed to be a trilogy when they could have been a series, and others are perfect how they are no matter the length! I love both trilogies and series! I’m a sucker for a good villain, I normally find the best quality in a villain and then use that as a reason why I’m allowed to love them haha! I do love the heroes, but I think I’ll always have a soft spot for a good villain. Cinder by Marissa Meyer! I loved this book (and the rest of the series) and it’s one of my favourite books! I loved it and recommend everyone to read it because it was so good! Nevernight is one of the most anticipated releases of the year, and it definitely lives up to the expectation. This book tells the story of 16 year old Mia Corvere, a girl who controls the shadows and ever since her world fell apart when she was 10 years old, she’s been determined to get revenge on those who wronged her. This book was one of the best books I have read. It also happens to be one of the most gorgeous books I own (the cover is beautiful and so accurate of the book). From the start of the book I fell in love with how it was written, I loved the 2 way narrative of present-Mia, and past-Mia and how both the narratives intertwined together to give the full story. It was such a genius way to write the story and allowed so much more depth into the character. Throughout the book, there are footnotes at the bottom of the page linked to particular parts of the story. I thought this was also such a brilliant idea, they allow much more insight into the world of Nevernight, however don’t take away from the main story so the novel still flows perfectly. Also some of them were hilarious which was so amazing, especially in such a dark story. This book is so immersive that once I started it all I could think about was seeing what happened next, and I especially thought that the introduction of the Shahiid’s and the individual tasks was a great addition. It added competition and showed just how dangerous of a world Mia had brought herself into, one that deals with people dying on a daily basis. The characters themselves were so brilliantly created, and each of them brought something unique overall. The friendship of Mia and Tric in particular was something so beautifully written that you really empathised with them both, as you felt with father-daughter like relationship between Mia and Mercutio. I thought each character was just so fitting to the story, including every single Acolyte, and Jay Kristoff wrote them perfectly. One of my favourite parts was seeing Mia and her darkin talents develop, and in particular seeing her without Mr Kindly helping her. The creation of Mia’s character is amazing, and she has definitely become one of my favourite book characters. There is so much depth to her character and throughout her entire journey you can feel exactly how she feels through it all. The ending was another favourite, it gave just enough intrigue to pull you in and want to read the next book of the series, but not too much that it annoys you for having to wait. This book was a perfect balance of heartbreaking, action packed, thrilling and also just a wonderfully written story with amazing world building and character depth. I recommend this book so much, and I am so glad I picked it up! I already want to read it again, and I cannot wait for the next book to come out, I will definitely be buying it as soon as possible! What did you think to Nevernight? Harry Potter and the Cursed Child is the eight book in the bestselling Harry Potter series by J. K. Rowling. It is written in script form rather than novel format, as it is currently a play on the West End in London. This book was one of the most anticipated releases this year, so when it was released on the 31st July (Harry Potter’s and J.K.Rowling’s birthdays) I had to get it. It didn’t take long to read due to the script format, only a couple of hours or so, so it’s definitely a good quick read! I didn’t mind the fact it was written in script form as I love reading Shakespeare so I was pretty used to it! I would have preferred a novel but the script still wasn’t bad. I did like this book, the one issue I had was that I didn’t think it quite lived up to the hype that it was given. I liked the story but after reading the first 7 books, I felt this book was more like a spin off book rather than the eighth novel. It just didn’t feel like it was needed to continue the series, and it could easily have been a spin off too, especially since it focused more on Albus and Scorpio than the original characters. However saying that, the last quarter of the book was brilliant. I loved how so many parts related to the previous books, and in particular how the last part related to one of the most well known and important parts of the Harry Potter series. I loved how it gave us a new perspective to see it from and that it linked so well. It was also particularly clever how similar Albus’ journey to Hogwarts was in comparison to Harry’s first journey, and I loved how they were linked as a nod to the original books. Definitely an amazing nostalgic feeling. I also liked how the original characters grew as adults, especially seeing the legacy than Ron, Hermione and Harry created and how hard it is for their children to live up to. Overall, it was nice to return to this world and catch up on the new generation of witches and wizards and see how the original characters have developed. However due to the hype I must say I was expecting more, especially from the end, but I’m still glad this book exists. I love the links to the original books, and how much more important Cedric becomes in the story. Thank you J.K for all you’ve done with the Wizarding World. Thank you to Clemi over at ClemisBookishWorld for tagging me in this tag! She also recently created the tag too, so well done! I love these books and the world of Narnia in general, so I am extremely excited to do this! Here are my answers! The Vampire Academy world! I love this series of books so much, and I love the difference between Strigoi vampires and Moroi and I love it! I think it’d be so interesting to visit and learn everything about it! Die For Me by Amy Plum. This series of books is one of my favourites series (and they have the most beautiful covers too). I love the story behind them and the characters, yet no one ever seems to talk about them! So underrated yet so amazing! Dracula by Bram Stoker. This was one of the first classic books I read and it has stuck with me ever since. It’s such an amazing story and I love the way it’s written and the characters within the book. The Curious Incident of the Dog in the Night-time by Mark Haddon. I’d heard a lot of things about this book, and about the theatre production of it, but never really knew what it was about. Then I saw it for 20p in the charity shop and had to pick it up, even though I had no idea what it was about! After You is the sequel to 2012 hit, Me Before You. It follows the story of Lou after the events of the previous book. She isn’t sure how to continue after what happened, becomes distant from her family, and moves away. Then she goes to a grief counselling meeting, and everything changes. I didn’t mind this book, it didn’t stand out to me as much as Me Before You did, but since they’re two different books it’s unfair to compare. However saying this, even from the start I wasn’t really pulled into the story. I won’t spoil anything, but I felt that a certain incident at the start of the book was a little unnecessary especially after the events of the previous book. I felt like it could have maybe been told a different way, in my opinion. One thing I did love was the insight into Lou’s new life that Moyes gave us. I loved how it was shown that people were disgusted at Lou and thought her untrustworthy after what happened. It really gave a better depth at what Lou was coping with and was definitely something that I never thought of as an aftermath after finishing Me Before You. I also thought that it was really good how the book focused on how she was coping after Will rather than just focusing on getting a new love in her life. It was so important to see how she was and I loved how Moyes developed her character to see the difference. Lily’s character was also a nice addition to the book, although I was shocked at who she was, I overall liked how similar she was to Lou and also the bond between them both. A new lead female character was well needed and Jojo didn’t disappoint. Lily was such a great addition to an already wonderful set of characters. The follow up of the Traynors was also a stand out for me, it was nice to link both books together in this way and also cleared up a lot of questions that may have arose about them after Me Before You. Overall it wasn’t a bad book, I still feel that Me Before You could have been a standalone, and that there were a couple of events that maybe didn’t need to be included (one at the start, and one near the end). However other than that it was a nice follow up, and was brilliant to see Lou’s character develop further, especially away from Will. I definitely recommend to read it once finishing Me Before You! What did you think to After You? Winter is the exciting final book in The Lunar Chronicles, and is the perfect conclusion to this amazing Young Adult series. Winter is a loose retelling of the story of Snow White, and tells of Princess Winter of Luna, the stepdaughter of Queen Levana, who is slowly losing her mind to lunar sickness. It follows her development through the awful treatment Levana deals to her, and her reaction to meeting Cinder and the rest of her friends. This was probably one of the best finale book I have ever read in my life. Winter’s character was so different to any other character that has been introduced in the previous books, and it’s such a nice breath of fresh air. I loved that she was royalty but never acted upon it, and that even when she was at her worst with her hallucinations, they never got the best of her and she fought through them. She was such a well developed character and written beautifully. Also her ‘crazy’ personality worked so well with the other characters, especially contrasting Scarlet’s organised and straight forward personality. I loved the two of them together and the dynamic friendship that was created. One of my favourite things about this book however, was that we finally got a change of location. The book was almost entirely set of Luna, which as of yet we hadn’t managed to visit in detail. I loved how Meyer created Luna and made it sound like the beautiful place it’s known to be, but also highlighted the poverty stricken areas, and not just the royal palace. It was such a nice change to read about Luna and I loved the change of perspective and the change of narrative this created. The development of characters is something that Marissa Meyer is always so good at, and she really shows that talent off in this book. Starting off with Levana, Meyer writes her character so brilliantly you can see her mental deterioration and also just how badly she rules Luna. I loved that we got to see that side to her, and not just how she is on Earth. It’s so subtle but also so plain to see, and Meyer’s writing really stands out fantastically by developing Levana. The development of the rest of the characters such as Cinder and Kai is also so brilliantly well done, I loved the people they turned into, especially compared to how they were in the first book. Marissa Meyer really is the queen of character development. I also once again love how she so cleverly linked her version of the fairy-tales with aspects of the original fairy-tales. It’s so brilliantly written and I love this unique aspect to the stories. So much happens in this book, and it’s so fast paced, but it’s so amazing! I loved how the series came to a close, and everything that happened throughout the book. It was so brilliant, beautifully written and I just LOVED it! The Lunar Chronicles is one of the best series I’ve ever read and I definitely recommend them! This was one of my favourite finale books, and it definitely doesn’t disappoint! What did you think to Winter? The third book in The Lunar Chronicles is the best yet, with action, adventure, fantasy and amazing writing all rolled into one. Cress loosely follows the story of the fairy-tale Rapunzel, and tells of Cress, a Lunar who has been working in a satellite in space for Levana, being her personal cyber expert. One of the first things that stood out to me in this book was the friendship between all of the characters. Especially Cinder, Wolf, Scarlet and Thorne before Cress joins them. Meyer writes it so well that you can really feel all of the strong bonds they have with each other, and how much the time on the Rampion has affected them and brought them together. The book also contained a lot more of Cinder’s character development, as you finally see her having to cope by herself without the rest of her friends. This definitely helps to make her character even more believable and lovable, as you really feel for her emotionally and see how much she cares. Cress herself is my favourite character so far. I love how naive she is, since she’s only ever seen the satellite for so many years, and how brave and clever she is, even though she doesn’t like to admit it. I also loved how Meyer wrote in about her having the long hair like Rapunzel, since she hasn’t had it cut in the years that she was on the satellite. I love how Meyer can link the fairy-tale and her version together, it’s an amazing talent to have. Marissa Meyer’s writing is the best it’s ever been in this book. It follows different narratives for each character and she makes you feel exactly how each character feels as you follow them in their own personal story. It takes a great author to do this, especially with such a large amount of main characters yet she follows and develops each character perfectly. The relationship between Thorne and Cress is also one of my favourites throughout the series so far because they fit so well, and really bounce off of each others personalities, so it works so perfectly. The ending is absolutely perfect, and really builds up the excitement for the final book! It ends so brilliantly and really leaves you wanting the next book straight away. Overall this was definitely my favourite one of the series so far, I loved the further development of each character away from the main group, the once again brilliant writing style for everything in the book, and I just loved Cress as a character! What did you think of Cress? Meyer is back with the second instalment of The Lunar Chronicles, and once again retells a classic fairytale in a wonderfully unique way. Scarlet focuses on Scarlet Benoit, a farmer living with her Grandmother in France, until she meets the mysterious Wolf and her world is turned upside down by revelations amongst her family. She becomes involved in Cinder’s struggle for freedom, and has to find a way to find her missing Grandmother, without getting herself killed. Sequels have a tendency to be either amazing, or to not live up to the expectations of the first book, so it’s normal to feel apprehensive when starting a sequel. Scarlet was one of the best sequels I have ever read. Meyer has written this book so well that Cinders story from the previous book, and Scarlets story in this book blend perfectly together. I was unsure as to how they would work together but it was brilliant. You get just enough information about what is going on with Scarlet, and then have a little insight into Cinder’s story and it is brilliantly balanced. The character of Scarlet is definitely my favourite so far, I love how brave she is and so determined to find her Grandmother. You can tell the elements that Meyer took from the story of Little Red Riding, in the fact she has red hair and that she is brave throughout the entire story. The development of Kai and Cinders’ characters as well once they’re separated is extremely well written. It was good to see how they think about each other, and in particular Kai’s coming to terms of the fact that Cinder is not who he expected. I thought it was important to see how they dealt with being apart from each other, and the way it was developed really added depth to the characters. The introduction of Thorne as well was one of my favourite part, as his sarcastic character contrasts so brilliantly with the serious element of Cinder’s personality and they work so well together. It was also nice to have a relationship that was purely friendly with no romance, as they can also be hard to find in YA books. The link to the original fairy-tale of Little Red Riding Hood was particularly a show of amazing writing, especially as one of the genetically engineered “wolves” imitates being Scarlet’s grandmother, just like in the story. The quick romance between Scarlet and Wolf developed slightly too quickly however for what I was expecting. They’d only known each other for a couple of days before they fell for each other, and I felt that it would have been nicer maybe to have them develop it over time. However saying that, I loved that the love story between them wasn’t soppy or cheesy and liked the fact it didn’t become the main story. It was always a side story and the main story was well paced, and left you wanting more, which is always important in a YA book. Overall this book was an amazing and worthy sequel to Cinder. It had an amazingly fast paced narrative, the development of previous characters was so well written and the introduction of the new characters we meet really added to the story in the best way. What did you think to Scarlet? This post is my TBR for the #ReadThemAllThon created by ReadAtMidnight, that runs for 3 weeks – 14th August until 4th September 2016! It is Pokemon Indigo League themed, and I’ve loved Pokemon ever since I was little so it sounded perfect for me to do! 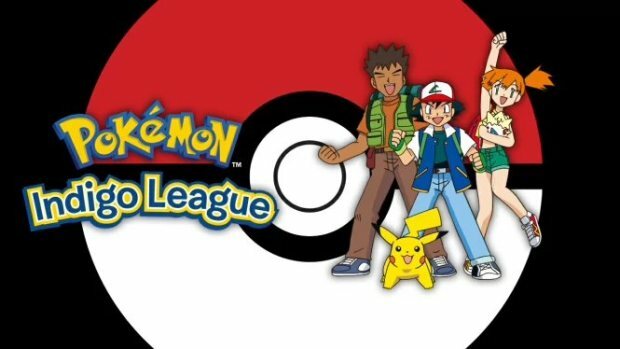 To take part just choose a Pokemon to have as a reading buddy for the 3 weeks, and then think of a book for each of the Gym Badges, and then get reading! Each book wins you a badge and levels up your Pokemon! Here are my books for this read-a-thon! Lady Midnight by Cassandra Clare. I really need to read this, and it’s the first book in the Dark Artifices series so I thought it was perfect! All The Bright Places by Jennifer Niven. I’ve had this on my shelf for SO LONG, and I’ve heard it ruins people’s lives, so what better book to fit for this challenge? Harry Potter and the Cursed Child by J.K. Rowling. This is probably the most hyped book in the world at the moment, & I need to get it read before I go back to Uni! Carry On by Rainbow Rowell. This book focuses on two male characters (part of the fan-fiction that Cath writes in Fangirl) who are in love and their story together, so obviously shows diversity and sounds amazing too! Winter by Marissa Meyer. The last book in the Lunar Chronicles, and this series has THE BEST ROMANCES. I can’t wait to read it! Nevernight by Jay Kristoff. I have been dying to read this ever since it came out last week, and I needed to put it in here somewhere because I’m so excited for it! After You by Jojo Moyes. This does have red on the cover, the writing is red, so I mean it technically fits the challenge! Gone by Michael Grant. I borrowed this book from a friend the other month and really need to get it read to give it her back, so I definitely thought I’d put it in this read-a-thon! So that’s my TBR list for the #ReadThemAllThon this year! Wish me luck for the next 3 weeks! I hope I get through them all! Are you participating in this too? What are your TBRs? Happy Reading!